Buzz Kill Ramblings of Tim Louie: IS THE CUSTOMER ALWAYS RIGHT? The customer is always right....until the customer is caught on video doing something they shouldn't be. This story is enough to leave a bad taste in the mouth of any restaurant owner. 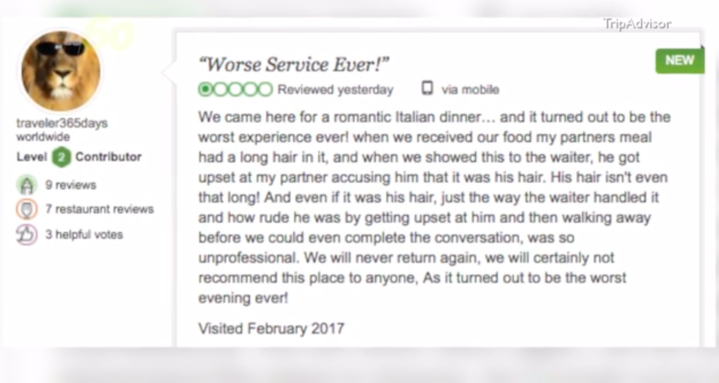 A customer recently intentionally put a hair in their food and used it as an excuse not to pay the bill. Then, said customer attempted to blackmail the restaurant by threatening a bad review on TripAdvisor. The unappetizing encounter allegedly happened Saturday night at the Casa Nostra Ristorante, an Italian eatery in Brisbane, Australia. A customer at the restaurant claimed there was a hair in her pasta and demanded her dinner be comped. However, the waiter noticed the hair did not match that of any of the employees. Co-owner Sarah Biuso said, "We all have short dark trimmed hair, and this was a strand of dirty blonde curly hair. The pair threatened to post a bad review (on TripAdvisor) if the meal wasn't taken off the bill." The woman lived up to her promise and wrote a bad review on TripAdvisor. 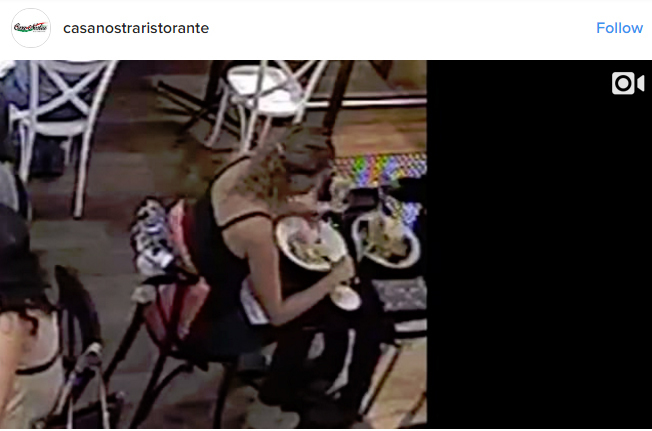 But based on surveillance video posted by the restaurant on Instagram, it looks as if the complaining diner has dirty blonde, curly hair, and is putting it into the pasta. 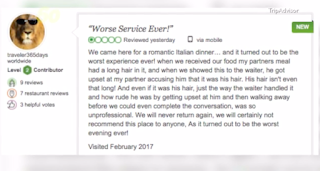 In their Instagram post, the restaurant noted that TripAdvisor has a "no blackmail policy for reviews" and complained that the review has "posted on TripAdvisor for all the world to see." "We take very seriously allegations of blackmail or threatening behavior by guests against business owners. It is absolutely against the terms and spirit of our site to use TripAdvisor's name to try and claim discounts, compensation or freebies that would not be available to other guests. We strongly encourage owners who have experienced blackmail to proactively report such threats before a corresponding review is submitted by using our free Management Centre." This is pretty pathetic for a customer to try to accomplish. I mean there are people out there who actually find things in their food, but when you have to fake it, it really discredits when things like this really happen. Then to blackmail the restaurant using TripAdvisor, I'm just surprised it happened in Australia rather than Florida.